1.Can i got few sample before place order? Yes,we can offer 1-2 pcs free sample,but frieht collect. 1 carton of each products. 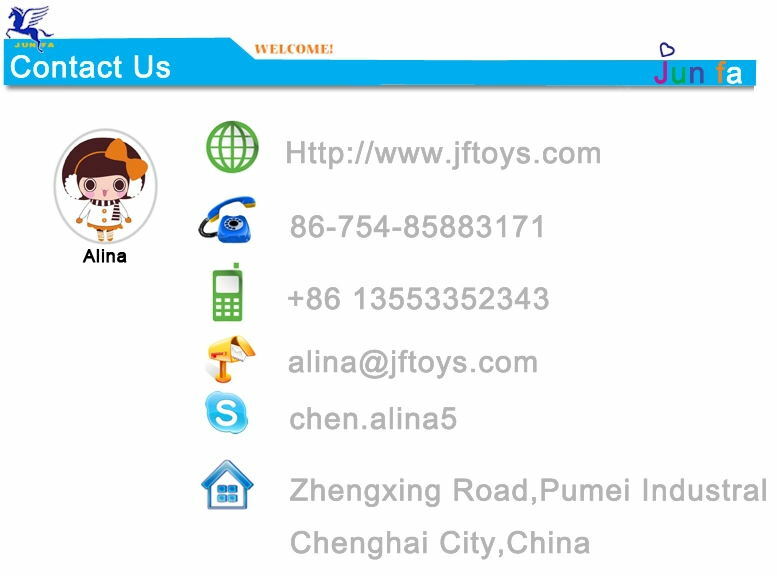 3-1.Order QTY1-5 cartons goods, send by express. 3-2.Order QTY 20-1000 cartons.send by boat. 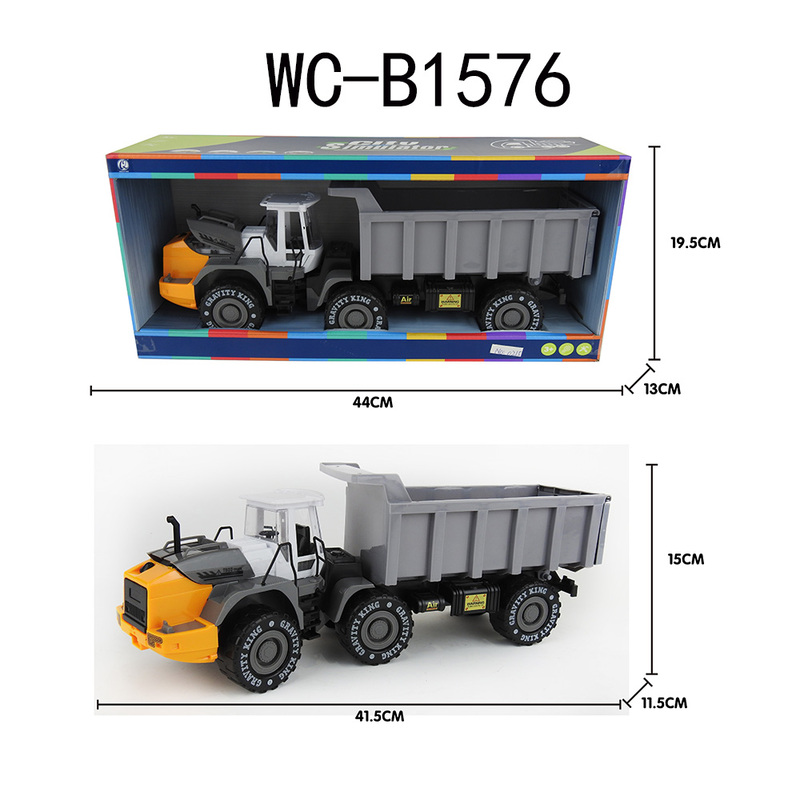 Kindly let me know if you have shipping agent in china. Or, we gald to be your chinese shipping agnet. 4.How long we will send out goods? Small order(1-5 ctns) :within 3 days after receive payment. Big order(20GP.40HQ):12-14 days after receive deposit. 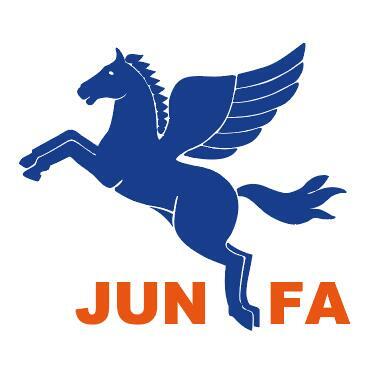 Chenghai Junfa Toy Co.,Ltd ,an experienced and a reliable toy supplier,has been specializing in the export of toys for over twenty years. 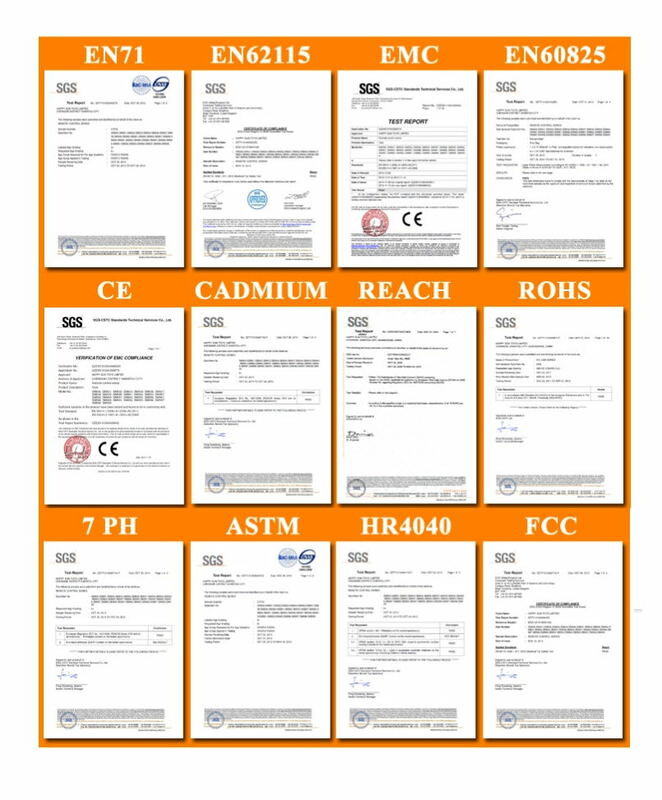 Because of our unique superiority in quality and price,it has gained high reputation among our customers around the world. 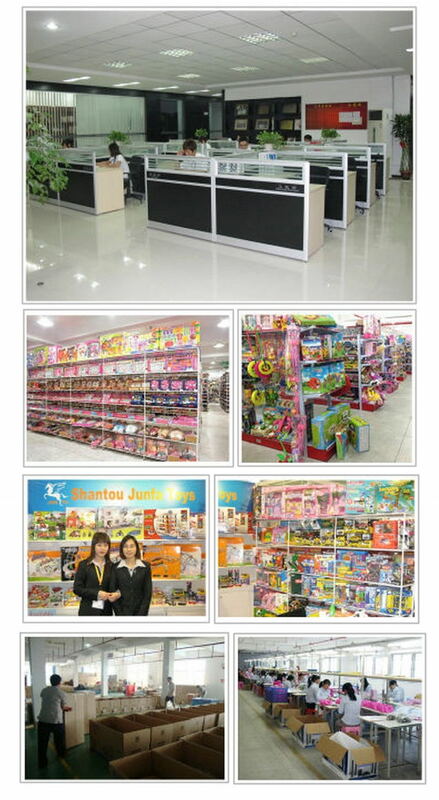 Our showroom with an area of 1000 M2,is furnishing with more than 60,000 all kinds of attractive toys and other products,while new toys are unceasingly changing everyday. "Customers and credit standing are our top priorities",strictly followed by that,we have been successful in business since our establishment in 1978. We have group of professional staff who can supply you the best services. 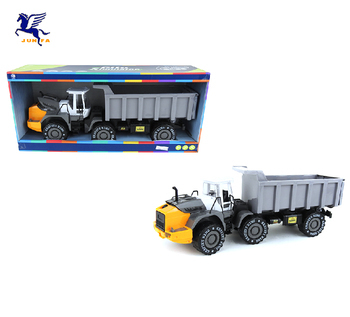 Located in Chenghai City,a well-known plastic town in china,our company benefits from its superior geography,convenient communications and rapid developing plastic industry. We try to extend our international market and sincerely hope to co-operate with you by possible ways.We warmly welcome all of our friends to visit our company in order for our mutual business. Please don't hesitate to contact with us freely. Should there be any questions, please contact us at any time.